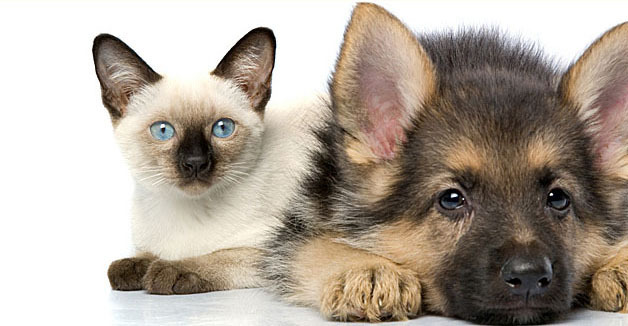 Cats and dogs living together in harmony is not a fantasy — it can become reality with hard work, patience and time. Following are five tips to get you started on the path of multi-pet bliss. Spay and neuter all pets to keep hormones and aggression at bay. Most pet altercations occur over food, toys, bones and attention. If possible, keep food separate, and supervis e your animals during activities that have caused problems in the past. 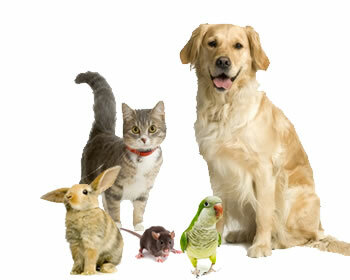 Remember to have special bonding time with each pet individually, and be sure they all know who is in charge. 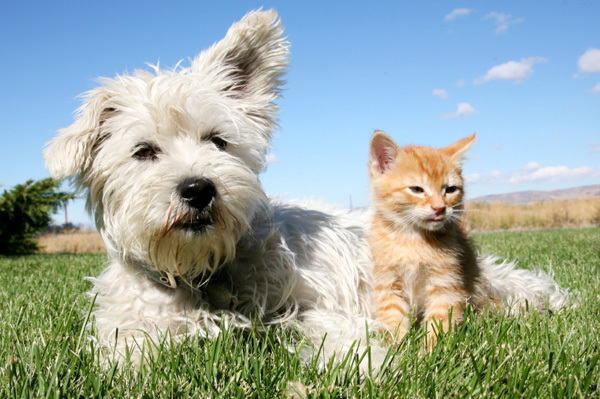 Don’t underestimate the power of rewarding good behavior — in cats and dogs! First impressions are especially important with cats, so introduce cats slowly. Start by keeping them in separate rooms, then switch rooms the next day so they can get used to each other’s scent. Give rewards so they associate the new smell with pleasant things. When both cats are relaxed, open the doors a crack so they can see each other. If all goes well with this first meeting, open the door farther and let them interact at their own pace. With any signs of aggression, retreat them back to separate rooms and move forward at a slower pace. Cats will not be rushed into a relationship; therefore, humans must be patient with their progress. You can use this process for cats already in the same household who are not getting along, too. Again, for young and mature cats, introductions are crucial. In preparation, now is a good time to refresh your dog’s manners. Before the big meeting, give your dog some exercise to burn off some energy. Depending on your cat’s tolerance, start the introduction with your dog behind a baby gate, or on a leash. Let the cat explore at her leisure. Never hold or restrain your cat; she needs to have an escape route if necessary. A good relationship may take years to build, or your cat may tolerate your dog without a fuss. No matter how the cat and dog eventually get along, make sure kitty has a space of her own that the dog can’t access. Keep litter boxes in a safe place away from dogs, so cats can do their business in peace. Rivalry in dogs usually occurs because dominance is unclear. One dog must be the leader, and they must figure out who this is on their own. We humans tend to treat dogs as equals, which intensifies the problem. Once dogs establish their hierarchy, owners need to support it by allowing the leader to always go first — with meals, treats, toys and even going outside. Of course, the human family should be the ultimate alpha dog. Make all dogs work for everything; have them sit for meals, shake “hands” to go outside or lie down for a bone. When a fight does break out, whether between dogs, cats or mixed, never attempt to reach in with your hand or body to stop it. A good dousing with water from a hose or a nearby water bottle will usually do the trick. Punishing the animals tends only to exacerbate the problem. A good time-out is best where all involved can retreat to a safe place. In extreme cases of frequent fighting, a trainer or animal behaviorist can help.